Last week I had the opportunity to attend the 3rd Deep Learning Summit, this time in London after the previous in San Francisco and Boston. DL Summit, organised by RE.WORK, brings together people with different backgrounds, from industry professionals to academy, in 2 fast paced days, packed with 20 mins talks and nice networking breaks. Here are my notes from day 1, if you were attending or speaking and I got something wrong please let me know! Videos of the talks are being posted on youtube. You can find the follow up post on the second and final day here. After a welcome from Alison Lowndes of NVDIA, the morning started with Alex Graves talking about Neural Turing Machines (NTMs, Paper and code). Alex is one of the most important researchers in Recurrent Neural Networks (RNNs) and is part of Google DeepMind. 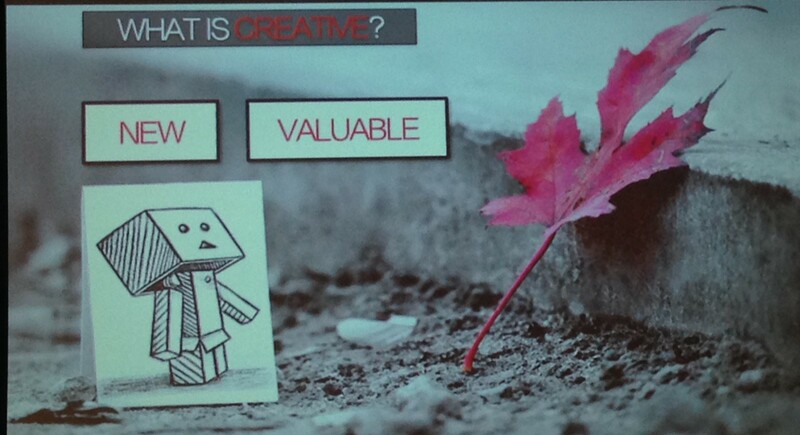 The idea behind NTMs is to learn programs instead of patterns. One of the difficulties has been in coding program operations so that they are differentiable, making NTMs trainable by gradient descent. They have already been able to train NTMs to perform basic algorithms like copy, loop, and sort. 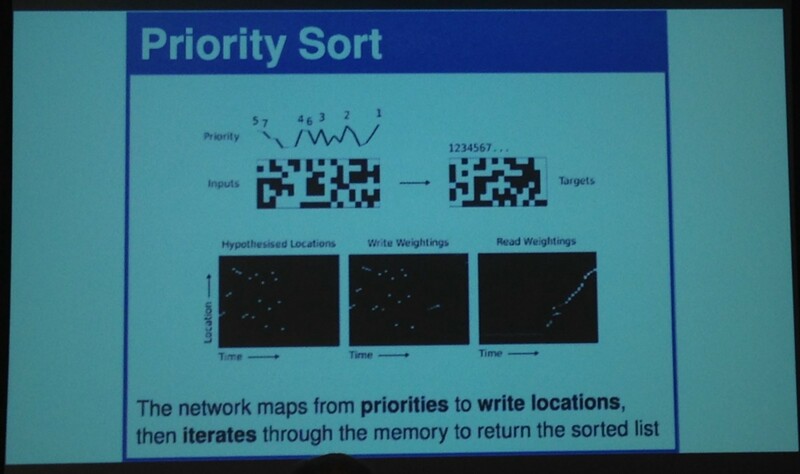 They are now looking at solving NP-hard problems such as Travelling Salesman, initial results look promising. The format then changed with a fireside chat between Ben Medlock, Co-Founder & CTO of Swiftkey, and Martin Bryan of The Next Web. Swiftkey is a smart keyboard that replaces built-in smartphone keyboards. Current algorithms are focused on corrections and suggestions, the goal forward is to predict user intents rather than words. The first version powered by deep learning is almost ready. DL can help in analyzing difficult languages like Chinese and Finnish, and leverage more information on context (location, app, time, etc.) 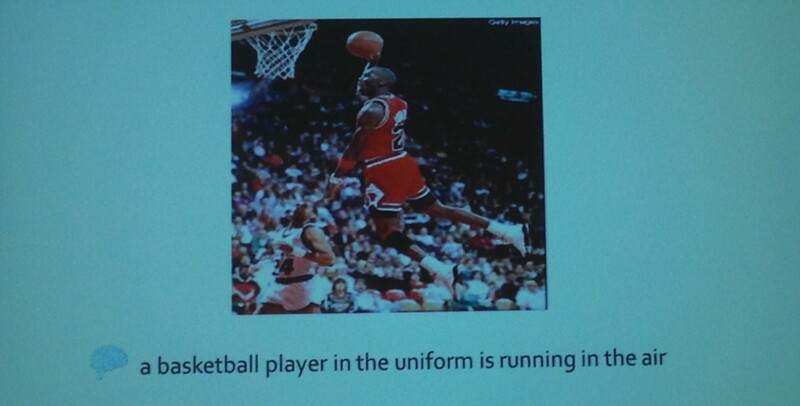 compared to traditional Natural Language Processing. DL can also be useful for longer term analysis, with RNNs taking into account also previous sentences for better prediction. Next up Alison Lowndes from NVIDIA talked about Deep Learning Impact on Modern Life. 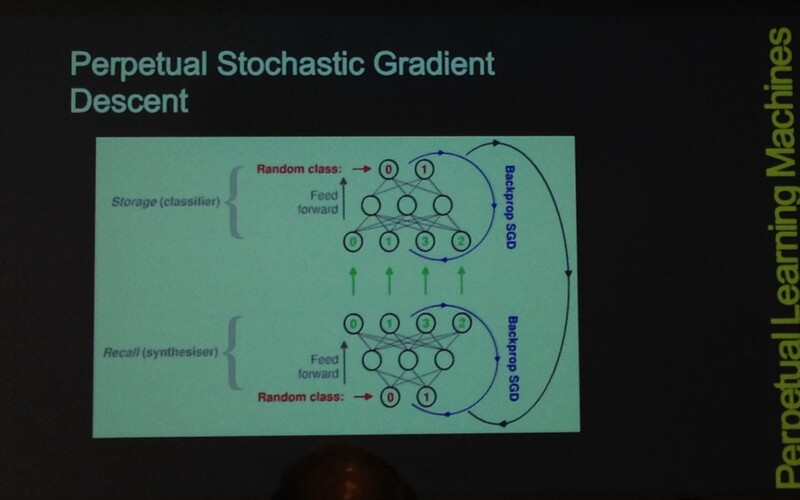 She gave a general overview of deep learning, including the 3 drivers behind Neural Networks renaissance (more data, better models and powerful GPUs). 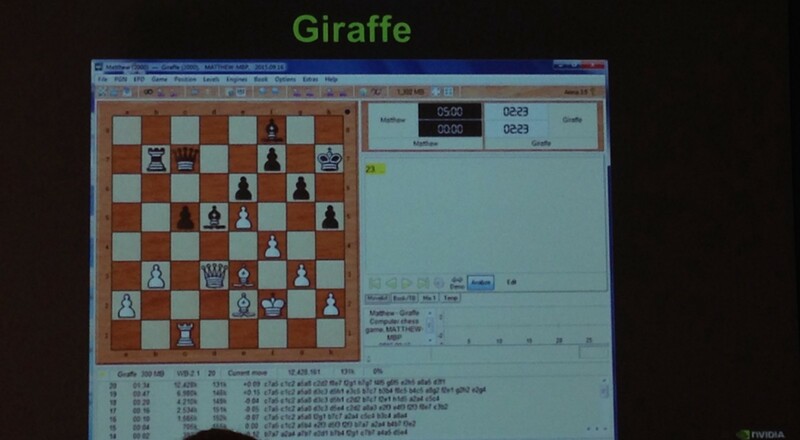 Alison gave some nice recent examples like Giraffe (Paper and code), a chess engine that through self-playing, in just 72 Hours, learnt to play at International Master Level. 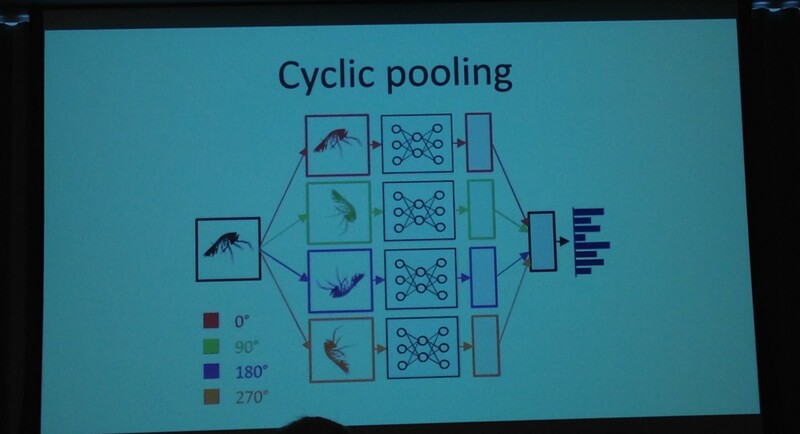 Sander Dieleman, then PhD at Ghent University, now at Google DeepMind, talked about how he won the Kaggle competition on plankton classification, together with other Ghent PhDs. 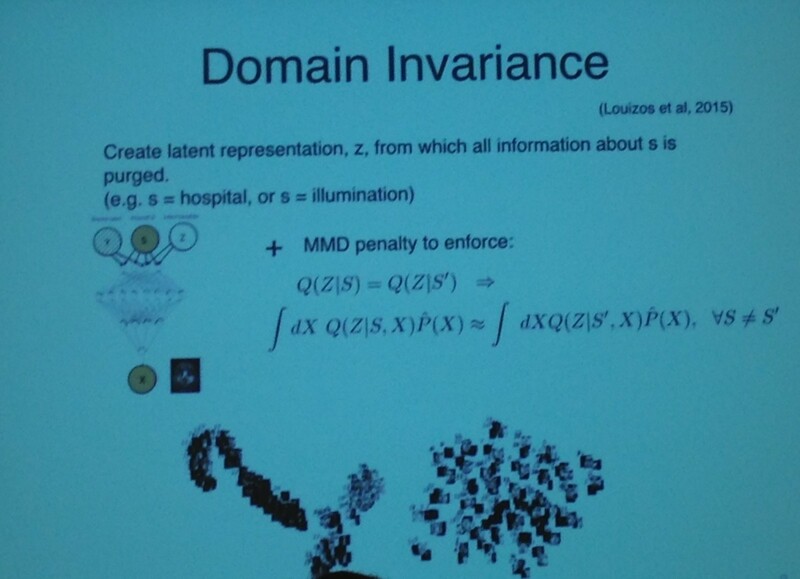 As a model, they used a CNN based on OxfordNet (Paper), the CNN that won ImageNet Challenge 2014. One of the hard things about the challenge was that there were only 30.000 examples for 121 classes, so they did aggressive data augmentation to avoid overfitting (rotation, translation, rescaling, flipping, etc.). Sander wrote a very good blog post on the solution. Jeffrey wrote a very good blog post on the solution too. 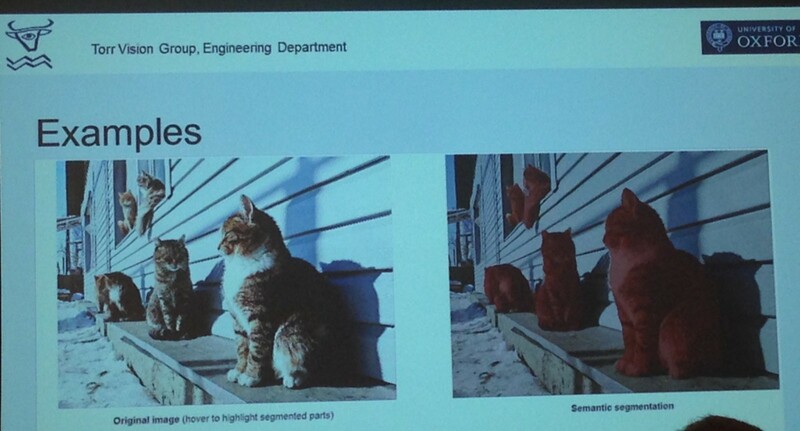 For Image Annotation and Search, they started by converting images to vectors with CNNs and words to vectors with Word2Vec. Most of the research went on how to combine word vectors into sentence vectors, coming up with a model based on Fisher vectors. Once they had sentence vectors, they used Canonical Correlation Analysis (CCA) to project image representations and sentence representations in the same space, so that images and sentences could be matched finding nearest neighbours. For Description Synthesis, RNNs were used with inputs from the CNN->CCA pipeline. One of the open issues is that the system decides what to describe, there still needs to be research to direct attention and influence which part of the image is to be described. 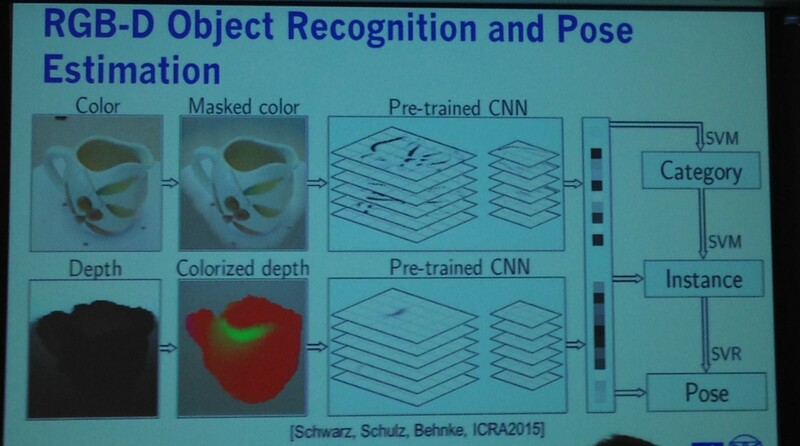 Back from a very good lunch, the afternoon started with 2 talks on semantic segmentation, which means recognising and delineating objects in an image. It is a useful task for road scenes understanding (self driving cars), robots grasping objects, and healthcare (segmenting tumors, dental cavities,…) among other. A panel followed on What Does the Future hold for Deep Learning? with guests Tony Robinson, Founder & CTO of Speechmatics, and Daniel Hulme, CEO of Satalia, John Henderson, Principal at White Star Capital, acting as moderator. Tony Robinson is a pioneer in speech recognition using NN, back from the ‘90s, then moving to other algorithms during AI winter, finally going back to where he started. 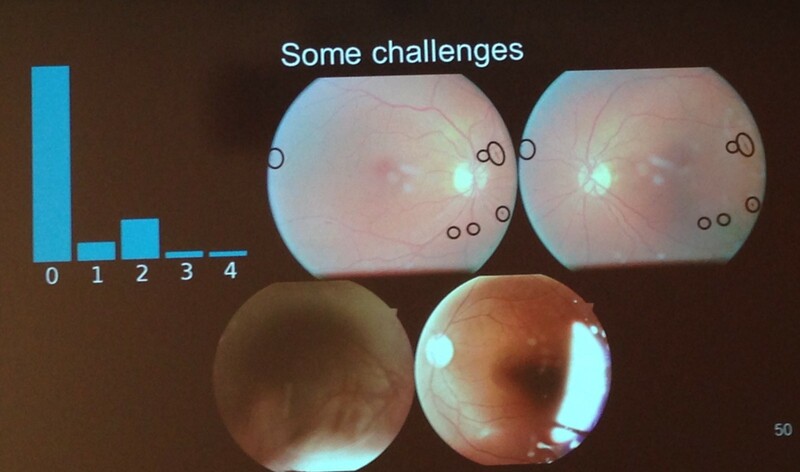 Daniel Hulme is focusing on hard problems (ex. vehicle routing) where the importance is on action rather than prediction, using symbolic AI (while he defined DL as sub-symbolic AI). Being asked what is AI?, Daniel answered Goal Directed Adaptive Behaviour, while Tony said What computers can’t do now :) Regarding the future, Tony said he can only predict the increase in computer powers and hopes there is less hype on DL to avoid another winter. Daniel of course sees a symbolic AI renaissance by 2020. Regarding spoken dialogue, they see much to be done to address ambiguity, and more work on delayed reward. They were also asked about AI threat to humanity, which was quickly dismissed. Nevertheless, they formulated the problem with 2 scenarios, one of intelligent robots (Terminator-style), the other of stupid robots solving problems in a stupid way (think about eradicating cancer, the easiest way to solve the problem for a robot would be to exterminate humans…). Given our ability to predict consequences, the latter seems to me much more dangerous. The last talk of the day was by Sébastien Bratières, Speech Evangelist at dawin gmbh & PhD Researcher at Uni. of Cambridge, on Deep Learning for Speech Recognition. 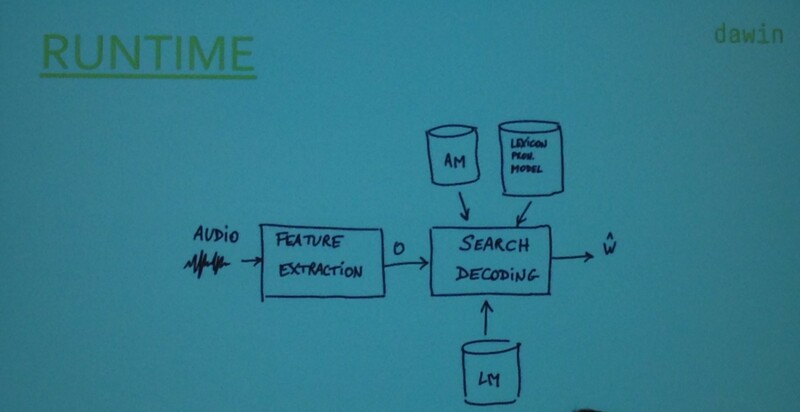 Sébastien gave an overview of how DL changed speech recognition pipeline. In a nutshell, speech recognition is made of an acoustic model (AM) that predicts word / phoneme sequence from raw audio and a language model (LM) that selects a word based on previous ones. In the last 5–10 years, AMs have gone from Gaussian Mixture Model + Hidden Markov Models to Deep Neural Networks, while LMs have gone from N-grams to RNNs. 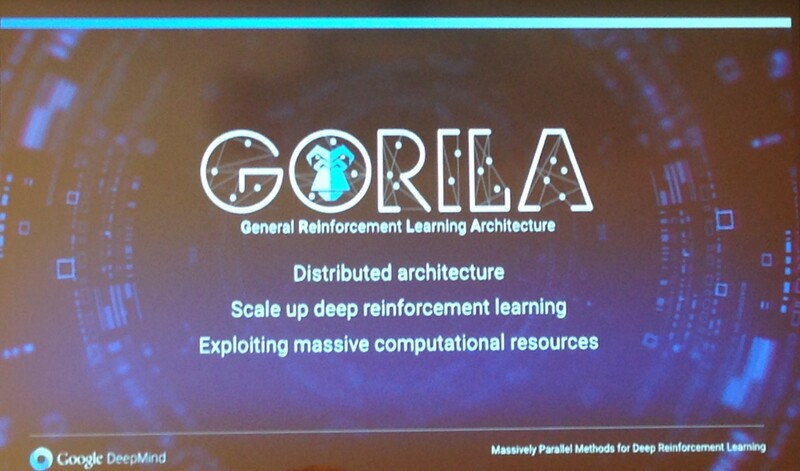 The pipeline has been simplified but there are still legacy models (GMM+HMM still used to prepare input for DNN), the future goal is to train End to End using only DL. Still, there a lot of “invariant” issues that are important for user experience and not solved even by DL, such as adaptation (different accents, background noise, etc. that were not present in the training set). Looking at the future, Sébastien said that humans do not learn speech recognition through transcribed speech, there could be room for unsupervised models (zero-resource methods). That was all for day 1 of the summit! Overall very interesting and diverse. The day continued with a dinner for a group of participants, with more talks and the opportunity to have more fun and meet new interesting people!